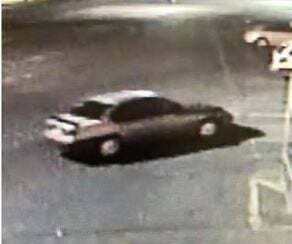 The Flagstaff Police Department is asking the community's help identifying a beige Dodge Neon that was involved in an aggravated assault and hit and run on April 4. At 11:14 p.m., the Dodge Neon struck a person and a black Nissan Titan truck in the parking lot of Fry's Foods at 201 North Switzer Canyon. The Dodge Neon will have a damaged rear driver's side bumper and possibly black paint transferred to it from the truck during the incident. If you have any information, please contact the FPD at 928-774-1414, Silent Witness at 928-774-6111 or Detective Rodriguez at 928-679-4089.